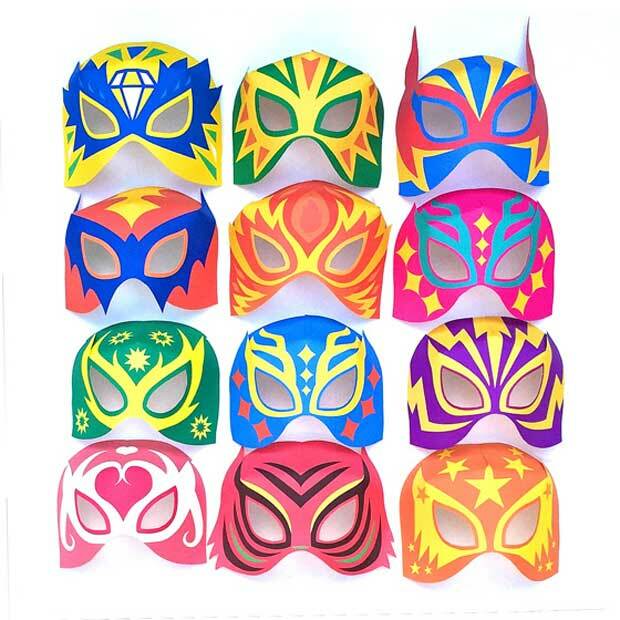 4 nicho ideas for Day of the Dead! 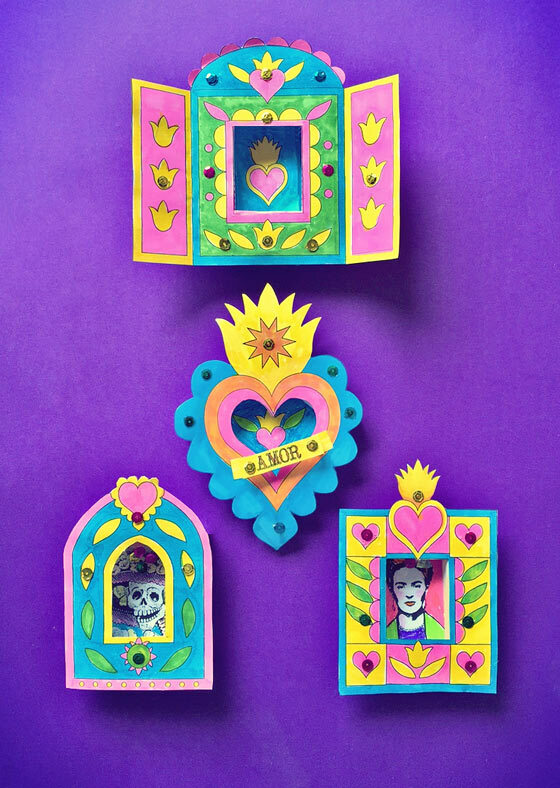 Nichos are ‘shadow box’ style frames that are often featured on Mexican alters, ofrendas or hanging in the home. 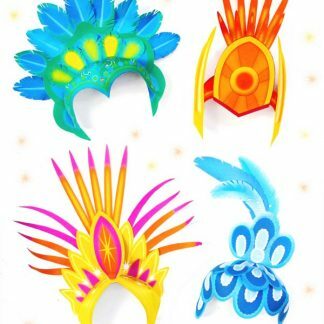 They are traditionally made of tin or wood and decorated with sequins, glitter and beads. Usually featuring a key object or central figure for whose honor or memory the nicho has been created. 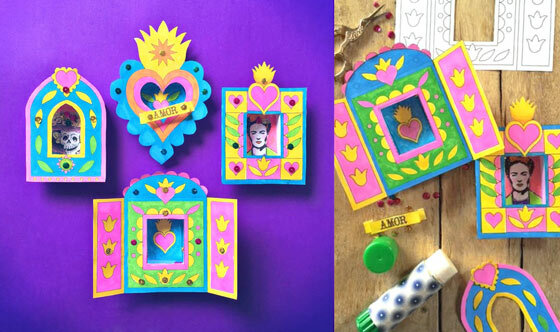 This nicho craft activity is an introduction to some of the crafts used in the Mexican Day of the Dead. 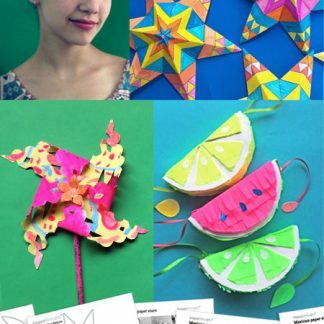 Try this Nicho craft activity: Make your own Nicho! 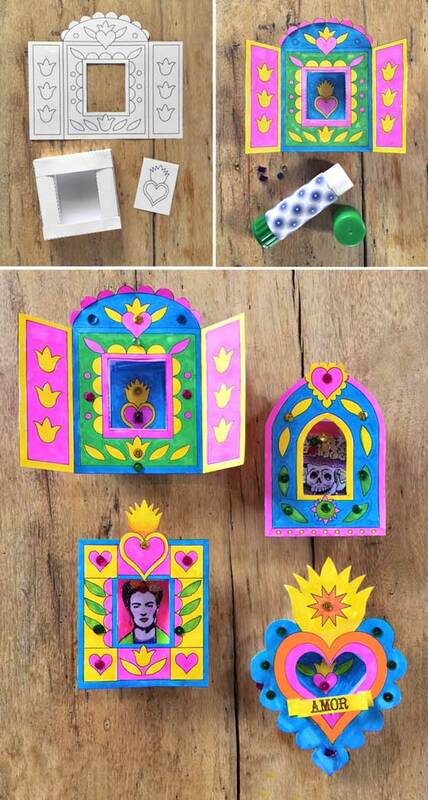 Nichos step-by-step: Craft activity idea! 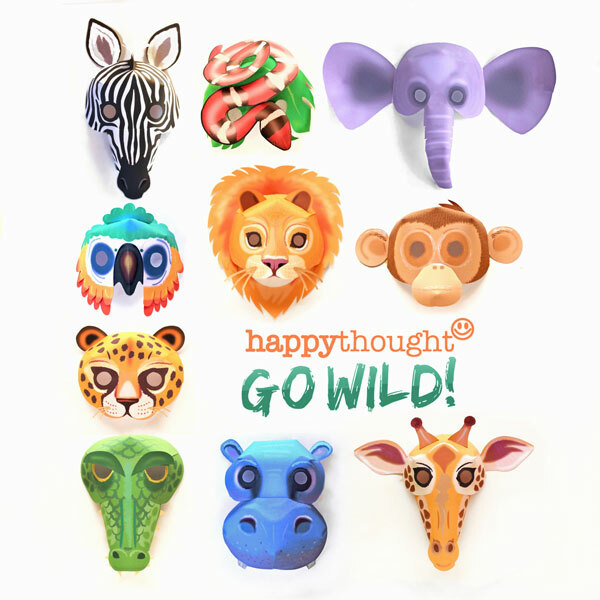 Happythought nicho templates. scissors, a gluestick, coloring-in pens and/or pencils, sequins and gems for decoration. Color in the frames with bright colors. 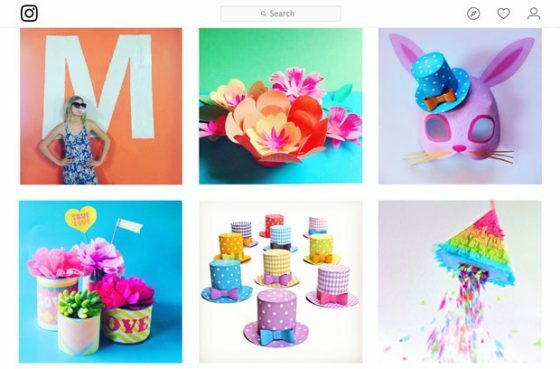 Fold and glue the box frame and color in the central image, or stick another image of your choice on top. 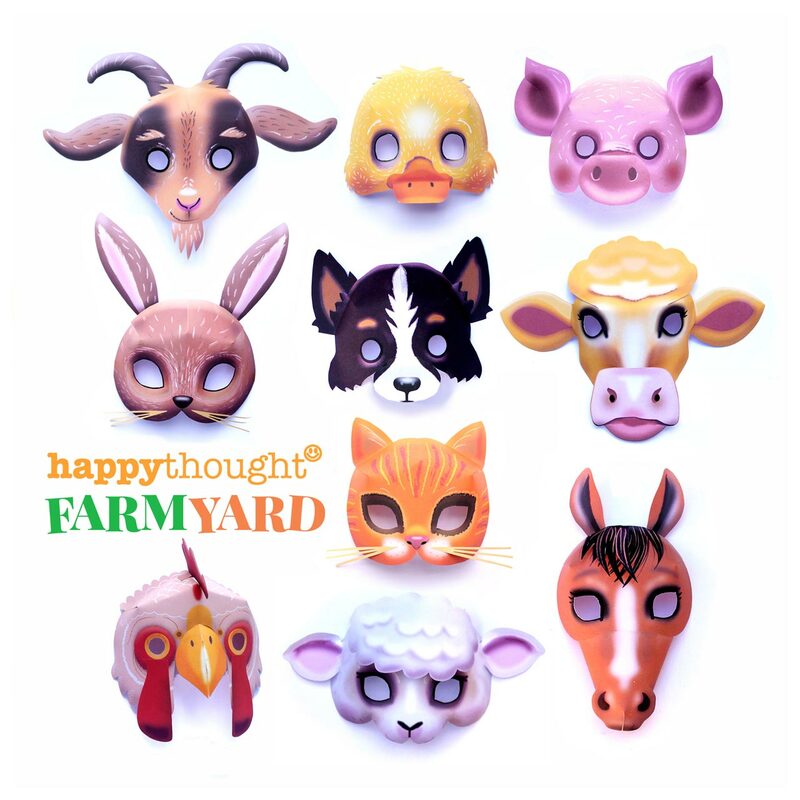 You can also add 3D objects, for example paper or plastic flowers, mini figures or trinkets. Glue the frames to the box. Decorate your nicho with sequins and gems. Printable nichos and tin can labels! 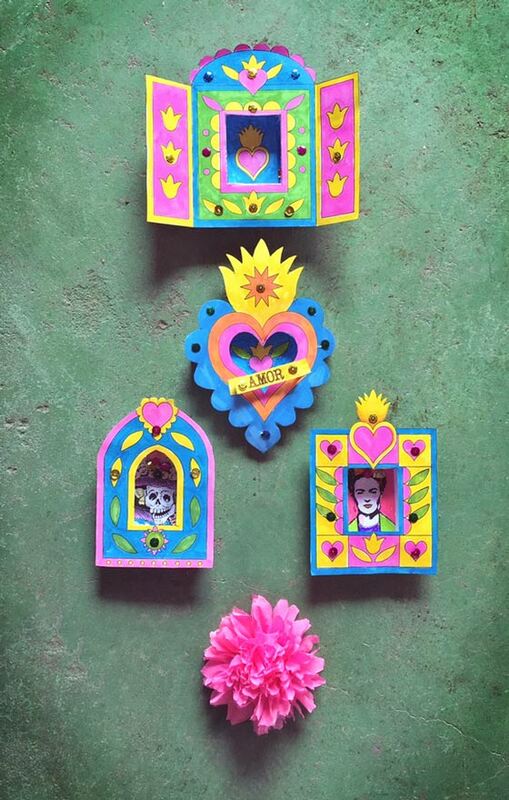 Buy the templates as part of our new Day of the Dead craft activity pack! 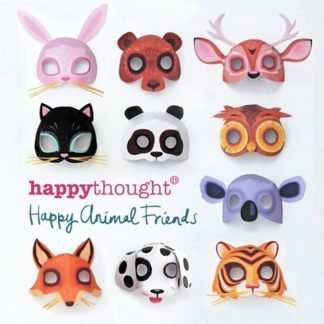 You might also be interested in some of our other crafts and printable activities and worksheets. 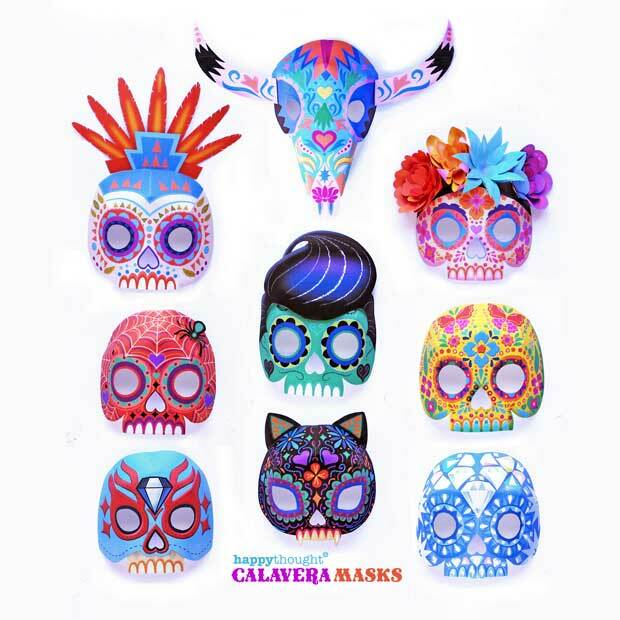 Cinco de Mayo worksheets, calavera paper mask template and Mexican paper star ornaments. 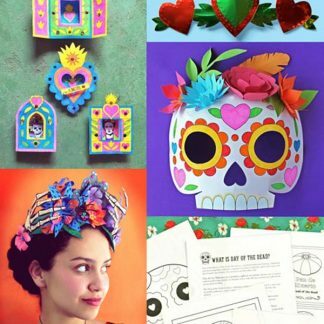 Plus food and drink signs, Day of the Dead activity ideas and a stunning DIY paper flower crown. 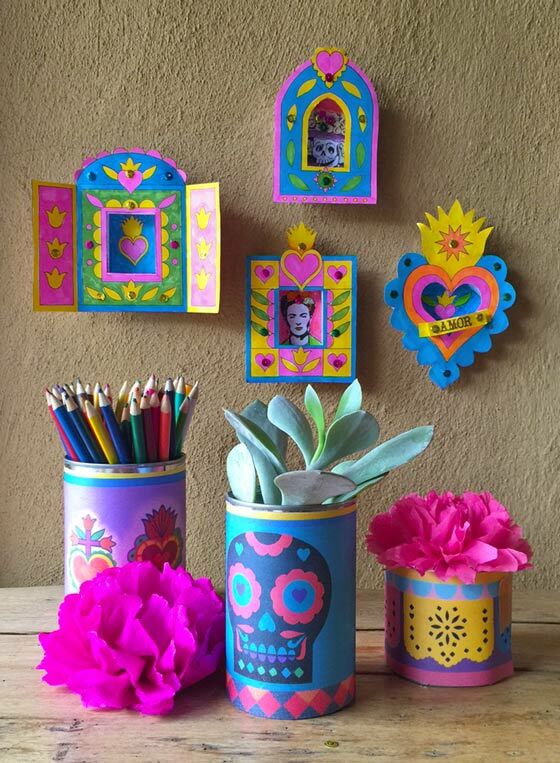 We hope you enjoyed this post on making you own Dia de los Muertos nicho! I bought this years ago. I’m an art teacher and changed it up a bit so my kids could make them a little larger and do their own designs. We also make the outside frame with metal tooling. This template saved me so much time and helped me let their students put their own twist on it. I would love to share photos! Thanks so much! Best $5 I ever spent! 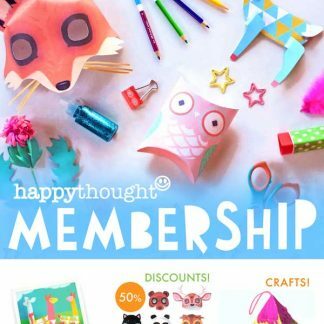 You have to click “happythought nicho templates” and then you can buy the template pack for $5.00 good news is it comes with almost ten additional activities! and there are at least 5 nicho templates… worth it! Me too! I would like to know how I can get these templates? Thanks. Looking forward to the release of these templates. Thank you! I am excited to try these, but I can’t find the templates. Thank you for the great idea! I would love the templates as well! How can I get the templates??? Porfavor!!!! Same! I really would like to get the templates! I am excited to try these, but I can’t get the templates. Thank you for the great idea! Could you please tell me how to get the Nicho templates?